Driekwartblou Karoo Luxury Accommodation is situated 60km from Colesberg on a working farm on the banks of the Gariep Dam. Peace and nostalgia on an old-fashioned Karoo farm. Experience the thrill of river rafting and team building on the Great Fish River between Cradock and Middelburg. In the lee of the Lootsberg Pass lies a mountain escape on a beautiful Karoo farm. Find peace and a lovingly curated history on this beautiful farm near Graaff-Reinet. A Karoo farm near Nieu Bethesda where you can find sanctuary and drama therapy. A farmstay in the stillness and wonder of the Tankwa Karoo desert, only hours from Cape Town. 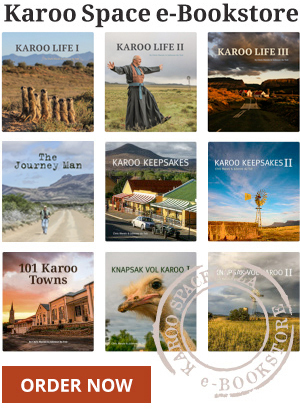 Stretch your legs, your heart and your knowledge of food on this beautiful Karoo farm.